Wine has a sweet history in Missouri, thanks to the state’s fertile soil and ideal grape-growing conditions. Each year, more than 900,000 gallons of Missouri wine are sold. The state’s wine industry is responsible for more than 14,000 jobs. Overall, the annual economic impact of wine and grapes on Missouri’s economy is $1.6 billion, according to the Missouri Wine and Grape Board’s 2009 Economic Impact Study. “The ideal viticultural factors in the Missouri River Valley, and its reputation as one of the most historic wine regions, make it an ideal place for a winery,” says Jim Anderson, executive director of the Missouri Wine and Grape Board. Part of the historic wine region is the oldest continuously owned family winery in the U.S., Adam Puchta Winery, which was established in 1855 by German immigrant Adam Puchta on the land his father purchased in 1849 along the Frene Creek in Hermann. Today, Adam’s great-grandson and sixth-generation family member, Tim Puchta, owns the winery, which is located where it began 160 years ago. Each year, the winery produces more than 20,000 cases of wine from more than 200 tons of grapes. 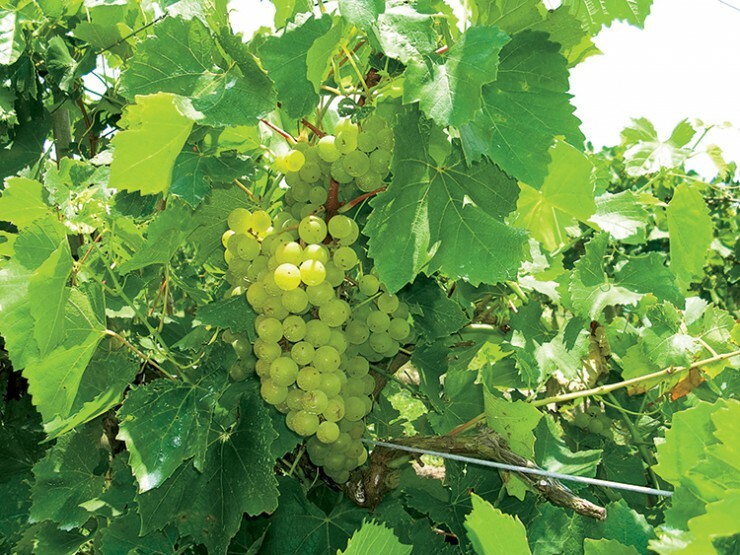 Wine varieties include Vignoles, Vidal, Chardonel, Traminette and Norton. Many of them have won top awards at national and international competitions. The winery, part of the Hermann Wine Trail, offers wine tastings and special events throughout the year. It also features the Homestead Guesthaus, a bed-and-breakfast that was the original homestead of Adam’s father, John Henry Puchta, built in the 1840s. “Adam Puchta Winery’s history, location, and dedication to Missouri grapes and wine make it an important part of the Missouri agriculture landscape,” Anderson says.